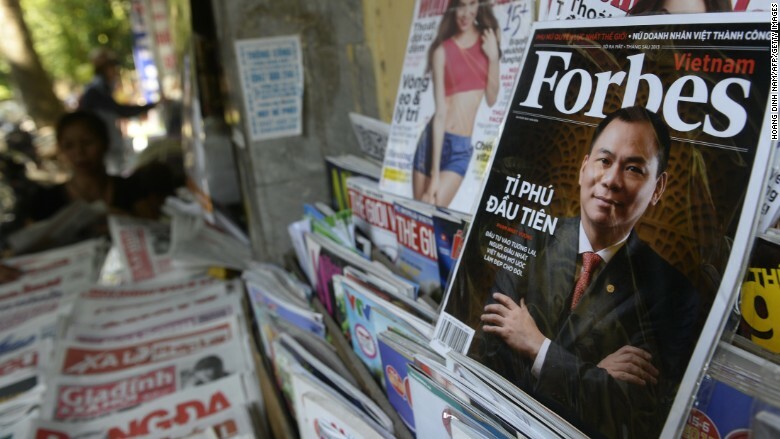 The family behind Forbes magazine is suing the majority shareholders of its media business -- Chinese investors who acquired a stake last year -- for allegedly failing to pay up. Hong Kong-based Integrated Whale Media Investments, which borrowed money from the Forbes family to finance its purchase, is accused of failing to honor its contractual obligations and defaulting on payments, according to a copy of the complaint reviewed by CNNMoney. Details of amounts owed, terms of the Forbes agreement with Integrated Whale and other financial details were redacted. Integrated Whale has "actively resisted ... efforts to collect on the unpaid debt by any means necessary, no matter how improper," the court filing said. "They have also wasted corporate assets and abused their position as controlling shareholder of Forbes Media." The complaint also alleges that Integrated Whale gave false court testimony in the British Virgin Islands, where Forbes had earlier taken separate legal action in efforts to get the Hong Kong company to pay up. Integrated Whale "potentially faces being placed into liquidation due to its failure to pay its debt." The deal, announced July last year, was said to value the media firm at $475 million. Integrated Whale "rejects the allegations contained in the complaint as completely without merit," and is reviewing its legal options, according to a company statement. The lawsuit was filed on Oct. 29 in Delaware. Forbes Media said the "dispute does not and will not have any impact on the media company's day-to-day operations or future growth." Forbes first announced it was looking for a buyer in November 2013, and is well-known for its lists of the world's richest people. Like other print media, the flagship magazine had been struggling with a shift of readers and advertisers to online sources. --Chris Isidore contributed to this report.